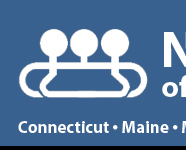 The New England Consortium of State Labor Relations Agencies was established in 1978, as the only regional Consortium of Government Labor Relations Agencies in the United States. The Consortium is an organization of State agencies in New England and New York which administer labor relations statutes primarily for public sector employers, employees and unions, and also small private operations. The primary mission of the Consortium is to identify professional staff training needs to function effectively in labor relations, and the implementation of programs designed to address those needs. 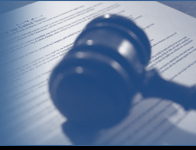 The Member Agencies of the Consortium perform a variety of dispute resolution functions including determination of appropriate bargaining units; conducting union representation elections; adjudication of unfair labor practice charges; mediation and arbitration of grievances; and mediation, conciliation, and interest arbitration services in contract negotiation impasses. The network of colleagues within the Member Agencies provides a mutually beneficial arrangement for the sharing of resources, and providing guidance in resolving particular issues which come before each agency. The Consortium sponsors an annual Conference, which is held on a rotating basis, in each of the New England States, as well as New York, for the dual purpose of providing continuing educational opportunities to the New England and New York labor-management community, generating sufficient operating funds to conduct staff training at other intervals during the year. Over the years, the New England Consortium has furthered its founding mission by developing the expertise of its staff and members, contributing to the fostering of productive labor relations, and the education of the labor-management community.